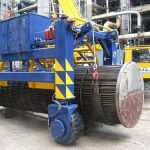 Bundle cleaning internally or externally an essential part of maintenance ensuring the bundle is giving maximum efficiency, which in turn will maximise performance and minimise running costs. Bundle cleaning internally or externally an essential part of maintenance ensuring the bundle is giving maximum efficiency, which in turn will maximise performance and minimise running costs. 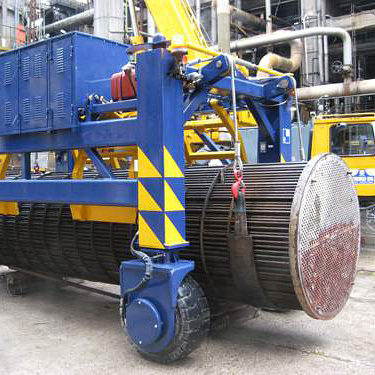 GBC offers two robotic systems for cleaning tubes internally or externally once the bundle has been removed from shell. Both systems are available in 2 length models & bundles are rotated by a powered roller system which is common to both types of systems.